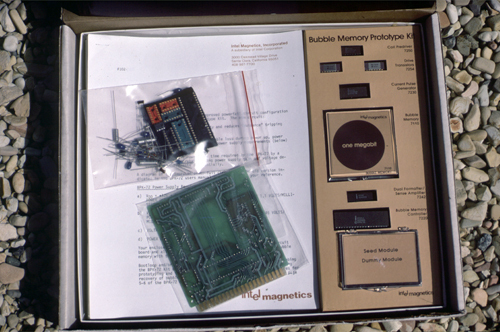 This is a color image of an open box Intel bubble memory one megabit prototype kit with parts and instructions. Some of the electronic and ICs are in plastic ziplock bags. The kit is resting against a background of rocks. Light is coming from overhead.